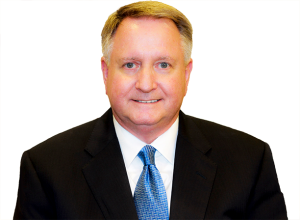 If you are seeking information on behalf of an incarcerated loved one regarding the possibility of parole from the TDCJ prison, you have come to the right Texas Parole Attorney Chris Dorbandt. We are a law firm focused on parole issues and appear before the Texas Board of Pardons and Paroles monthly. We offer a reasonable flat-fee for guiding you through the parole process and appearing before the Board on the inmate’s behalf. On average, only a third of inmates are granted parole, while our percentage is much higher. Improve the chances for parole – call us for a free consultation. No attorney can guarantee anyone success in obtaining a parole. However, the twenty-one (21) members of the Texas Board of Pardons and Paroles individually cast an estimated 10,000 votes each month. Consequently, the chance that an inmate’s case will receive in-depth consideration is minimal. I am experienced in the field of parole issues and can help an inmate receive serious consideration, which is precisely our goal. Knowledge of the parole process makes me qualified to assist a parole applicant in convincing the Board that he or she is ready for parole, which is simply early release from prison on “conditions” of parole. We offer a Flat Fee for parole representation. Don’t wait to see what happens. Procrastination almost always ends with a denial of parole. Who is going to speak for your loved one if we don’t? You should know that the Board of Pardons & Paroles (BPP) is not going to invite the inmate to appear or be heard and they can vote a case up to two (2) months prior to the month the case is scheduled for review! If you’re considering this, I strongly urge you to act now. We often receive calls from the inmate’s family members who state the inmate was denied parole before their scheduled hearing and before they had a chance to submit letters and other materials for the Board to review and consider. If you have a family member or friend who is nearing their parole review date, be sure to plan far enough in advance to avoid this situation. Identify the right documents and information, which we index and forward to the Board, without overwhelming the Members with excessive or unnecessary information. Teach the inmate on how to write a letter to the Board that will increase their chances of parole. The parole eligibility date is not the date the parole board will meet and decide whether to grant parole. In Texas, inmates go into review six (6) months before their parole eligibility date. The vote can occur up to two (2) months prior to the month the case is scheduled for review by the Board. If the inmate has met with the Institutional Parole Officer (IPO), it’s almost too late to do anything for the inmate before the hearing. Plan far enough ahead to allow time to mail letters from family, friends, and employers. Allow time for feedback, review, and editing of documents submitted to the Board for their review.